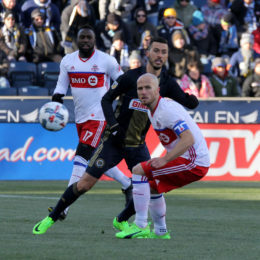 KYW Philly Soccer Show: Union Win! Greg and Mike break down the Union’s win against New York and look ahead to this week’s match in D.C. Still no wins, but the podcast plods on. 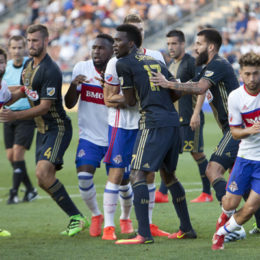 Adam joins Greg and Mike this week to talk tactics, the draw against Montreal, and Union salary numbers. 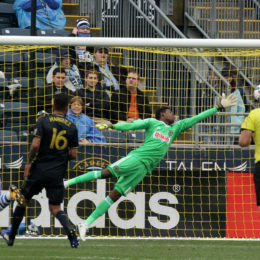 Union beat writer Dave Zeitlin joins Mike and Greg to commiserate on the Union season so far. Greg and Mike once again try to figure out where it’s all going wrong for the Union. Timbers reporter Jamie Goldberg joins the guys to preview this weekend’s matchup against Portland. Plus Bedyoa’s position and recapping the loss in D.C.
Greg and Mike talk with Fabian Herbers, preview the match with D.C. United, and discuss the USMNT’s World Cup Qualifying matches. Union midfielder Haris Medunjanin joins Greg and Mike in this edition. Greg and Mike talk with Toronto Assistant Robin Fraser and preview this week’s home opener, recap the draw in Vancouver, touch on Champions League results. Greg and Mike talk with right back Keegan Rosenberry and preview the upcoming Union season.